V15-16. Ten days later, Daniel and his friends looked healthier and better than the young men who had been served food from the royal palace. After this, the guard let them eat vegetables instead of the rich food and wine. The concept of angiogenesis is very new. It was only in 1994 that, after Dr Judah Folkman’s key concept of his new theory of cancer was published in the periodical “CELL” that overnight, angiogenesis became one of the principal targets in cancer research. What then is angiogenesis? Briefly angiogenesis means blood vessel formation. Tumour angiogenesis is the growth of new blood vessels that tumours need to grow and this is caused by the release of chemicals by the tumour. Conversely, angiogenesis inhibitor is a substance that may prevent the formation of blood vessels. In anti-cancer therapy, an angiogenesis inhibitor may prevent the growth of new blood vessels that tumours need to grow. Micro tumours cannot change into dangerous cancers without creating a new network of blood vessels to feed them. To do so, they produce a chemical substance called angiogenin that forces the vessels to approach them and to sprout new branches. The new tumour cells that spread to the rest of the body i.e. metastasis are dangerous only when they are able, in turn, to attract new blood vessels. Dr Folkman spent 20 years in the wilderness. Nobody believed him. He was scorned, criticised and described as a looney. Other doctors shook their heads at the waste of a great mind, and ambitious young medical researchers were told that accepting a position in Folkman’s lab would be the death of their careers. In “ANTICANCER,” Dr Schreiber described Dr Folkman’s 20 years journey in the wilderness as “Crossing the Dessert” (page 53). This is a classic example of Schopenhauer’s saying:–All great truth goes through three phases. First, it is ridiculed, then violently attacked, and finally accepted as self-evident (page 53). This will probably be the case in the concept of anti-angiogenic foods as described in the ensuing sections. (NB: Perhaps, if you would like to follow Dr Folkman’s journey “Crossing the Desert,” do read “DR FOLKMAN’S WAR” written by acclaimed science writer Robert Cooke. Reading the forward by Dr Everett Koop, MD, ScD, you will soon realise that the title of the book is not Dr Folkman’s War against cancer but it was a war against the scientific and medical community which took more than 20 years to recognise his concept of angiogenesis). Today, many drugs similar to angiostatin (such as Avastin, Sutent and Nexavar) have been developed by the pharmaceutical industry. But “their effect on humans when used alone have turned out to be disappointing” (ANTICANCER page 54). This view is also shared by medical oncologist Dr Richard Frank, MD (in FIGHTING CANCER WITH KNOWLEDGE AND HOPE) in which he said that…“although targeted therapies (angiogenesis inhibitor drugs as mentioned above) were developed with the hope that they would be magic bullets that would neatly eradicate cancer through the selective targeting of one critical molecule, in general they have fallen short of their lofty goal” (page180). Anti-angiogenesis drugs have produced more troublesome side effects than foreseen. As a result, they are probably not the long-hoped-for miracle drugs (ANTICANCER page 54). Specific dietary practices (many natural anti-angiogenesis foods have been discovered recently, including common edible mushrooms, green tea, spices, and herbs)..
Everything that contributes to reducing inflammation, the direct cause of the growth of new blood vessels. Anti-angiogenis or anti-angiogenic foods? Your doctor/ oncologist will in all probability pour scorn on this concept with the usual comments–not proven, not scientifically tested, etc. But frankly, are all the conventional cancer treatments properly and scientifically and independently tested? Who else has done research and written about anti-angiogenic dietary factors under the concept of angiogenesis? In the forefront of such research is Dr William Li MD, the founder of The Angiogenesis Foundation, the world’s first non-profit organisation dedicated to conquering disease using the new approach based on angiogenesis, the growth of new capillary blood vessels in the body. According to Dr Li, many foods contain naturally occurring inhibitors of angiogenesis. When these foods are consumed and absorbed into the blood stream, the inhibitors act to boost the body’s existing system that suppresses undesirable angiogenesis that can promote or accompany disease. The following is a list of foods (according to Dr Li) that have innate properties which inhibit angiogenesis, thus working to cut off cancer tumours from blood supplies. These are green tea, berries, citrus fruits, apples, pineapple, cherries, red grapes, red wine, cruciferous vegetables, soybeans, ginseng, mushroom, liquorice, turmeric, nutmeg, lavender, artichokes, pumpkin, sea cucumber, tuna, parsley, garlic, tomato, olive oil, grape seed oil, dark chocolate. (Source: Angiogenesis Foundation Website: http://www.angio.org). Also we recommend that you watch a video of Dr William Li enlightening you about “angiogenesis,” its impact on the human body, its connection to cancer and how you can deal with it. Dr Judah Folkman’s visionary ideas on cancer treatment served as a starting point and inspired two Canadian cancer researchers to theorise and confirm that “there is some weakness in the armor of tumor cells that might allow us to better our chances of destroying them” (Incidentally Chapter 4 in Dr Schreiber book “ANTICANCER” is entitled “Cancer’s Weakness”) These two researchers Dr Richard Beliveau, PhD and Dr Denis Gingras, PhD worked on the premise that “despite its great power, its versatility, and its enormous ability to adapt to hostile conditions of neighbouring cells, the cancer cells remains extremely dependent upon its energy needs. To grow, a tumour requires a constant supply of oxygen and nutrients. Their studies strongly suggest that certain types of cancers can be prevented by modifying our dietary habits to include foods with the power to fight tumours at the source and thus prevent their growth. Some of the specific foods researched by Dr Beliveau and Dr Gingras are: cruciferous vegetables, garlic and onions, soy, turmeric, green tea, berries, omegs-3s, tomatoes, fresh fruits, and dark chocolates. Dr Beliveau and Dr Gingras distilled their research findings into a simple book for the lay person- “FOODS TO FIGHT CANCER” –the goal of this book is to present a summary of the scientific studies currently available. Dietary angiogenesis inhibitors are now being investigated as a preventive strategy to “starve” cancers while they are still small and harmless. If our diet contains plenty of angiogenesis inhibitors, it can prevent small tumours from acquiring a blood supply and growing larger and becoming more aggressive or cancerous. In concluding the chapter, Dr Fuhrman laments that… “many people choose to reject new science even when the evidence is overwhelming. This book, SUPER IMMUNITY, may be attacked by people in powerful positions of authority whose livelihood is dependent on competing interests such as “recreational” foods, drugs and medical technology. Does this sound familiar to you? More direct links between particular components of food and cancer have been confirmed by some recent studies. A classic link is attached. Although “anti-angiogenesis drugs (like Avastin, Sutent, Nexavar) prevent tumours from growing the blood vessels they need to grow, none is perfect” (page 481). This is the view of Dr Keith Block, MD an Integrative Oncologist who explained that “just as tumours can switch to a second growth pathway if their primary pathway is blocked by a chemotherapy drug, so tumour can switch to a backup pathway for growing blood vessels when the first pathway is blocked by an anti-angiogenesis drug”(page 481). Just as drug cocktails are a hot area of research in mainstream oncology, so combinations of anti-cancer compounds are some of the most exciting advances in integrative care…. there exists natural compounds that target the same growth pathways as leading-edge pharmaceuticals (page 505). Dr Block strongly believes that diet affects cancer both directly and indirectly. Nutrients directly impact the mechanisms by which cancer cells grow and spread. They indirectly help control the cancer by changing the surrounding biochemical conditions that either encourage or discourage the progression of malignant disease. The bottom line is that what you eat can spell the difference between conquering your disease or having it rage out of control (page 56). a) Eat more fruits and vegetables – such as berries, cruciferous vegetables, tomatoes, dark green, leafy vegetables (page 205). b) Buy organic – The International Agency for Research on Cancer classifies more than 400 chemicals, including those used in pesticides, as carcinogens (page 206). c) Eat more Fibre – fibre dilutes the carcinogens in the colon; reduce the time in which they remain there, enhanced anti-oxidant action, or produce bacteria that promote, or produce bacteria that promotes a healthy digestive tract (page 206). d) Avoid Red Meat – a growing body of evidence points to an association between beef, pork, lamb, and goat and cancers of the colon, prostate, pancreas and kidney (page 208/209). Carcinogens may also be present in smoked, salted, or cured meat and in meats cooked at high temperatures. Besides the above, Dr Cuomo also advise cancer patients to eat more fish, drink green tea, increase consumption of resveratrol, flavor food with turmeric and lastly to limit processed foods (page 207-209). Increasing your intake of vegetables. Essentially, it means that a diet of omega-3 products inhibits angiogenesis and a diet high in the omega-6 fats powerfully promotes cancer growth and spread. Nicotine also increases angiogenesis. A prominent cancer researcher and scientific advisor to the University of Texas Centre for Alternative Medicine, D John Boik, PhD is the author of 2 very scientific texts……CANCER AND NATURAL MEDICINE and NATURAL COMPOUNDS IN CANCER THERAPY. In the 2 books, the subject of angiogenesis is extensively covered. Some foods can help you to fend off cancer, while others could actually be increasing your risk of cancer. Knowing the right foods to add to your diet is very important. Eat more vegetables……broccoli, cabbage, cauliflower, kale, mushrooms, seaweed, sweet potatoes, turnip greens, onions, summer and winter squash, spinach, olives and Brussels sprouts. Add more fruits to your diet…..tomatoes, avocadoes, grapefruit, figs, oranges, papaya, raspberries, blueberries, strawberries, pears, grapes and lemons. Spices, beans and other foods to help fight cancer…..garlic, sunflower seeds, oregano, turmeric, red wine, peanuts, ginger, tea, brown rice, black beans, ground flaxseed, quinoa, peppermint and fish. On the main page, click on UNDERSTANDING ANGIOGENESIS and then click on DIET, LIFESTYLE AND ANGIOGENESIS. On the main page, click on Food to view the list of foods profiled as cancer-fighting foods and then click on Evidence for a list of articles to read. There are a lot more of other such articles…..just google for either anti-angiogenesis or anti-angiogenic foods. After you have read this far, you would definitely be able to differentiate between foods that inhibit angiogenesis and foods that promote angiogenesis. Remember, your life is in your hands….not in your doctor’s and the choice is yours to decide. 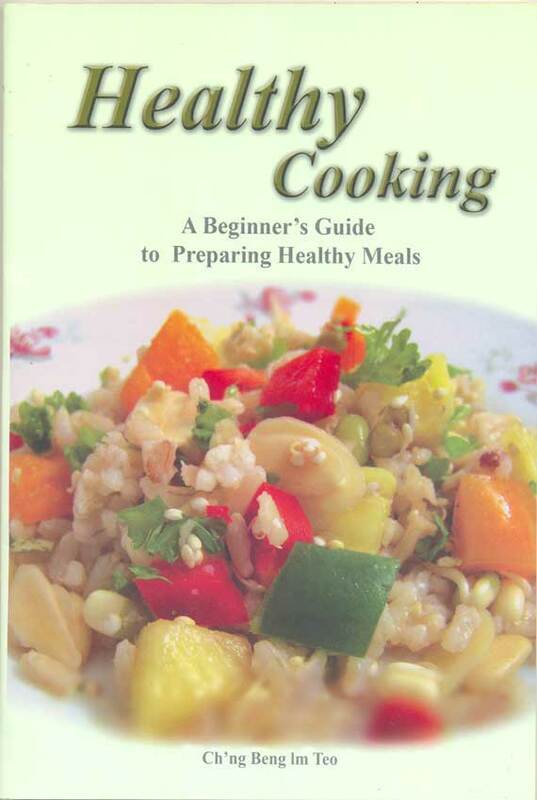 NB: If you are still unsure as to what to cook or how to cook, get hold of a copy of HEALTHY COOKING …A Beginner’s Guide to Preparing Healthy Meals by Ch’ng Beng Im Teo. (ISBN NO: 978-983-2590-25-5). NB: THESE NOTES, COMPILED BY YEONG SEK YEE AND KHADIJAH SHAARI, ARE MEANT STRICTLY FOR YOUR INFORMATION AND NOT INTENDED TO DISSUADE YOU FROM SEEKING CONVENTIONAL CANCER TREATMENTS. THIS HAS TO BE SOLELY YOUR RESPONSIBILITY/DISCRETION.